"Legacy media outlets can never be what they once were anymore — but technologists and journalists also need to integrate their missions so a 'new and unified' media culture can emerge." 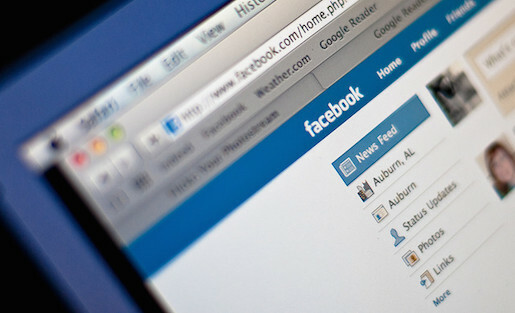 2014 was a year of expansion for social media giant Facebook, especially in the realm of news. With its $19 billion purchase of the international messaging app WhatsApp and its $2 billion acquisition of the virtual reality technology Oculus Rift, Facebook showed it’s not only trying to become a go-to destination — it’s also intent on occupying other popular spaces in the present and future. The entire operation is a behemoth to be reckoned with for news organizations and other publishers. A recent Pew study found that more than 30 percent of American adults now get their news on Facebook. These algorithms that dictate what pops up on a person’s news feed, whether the user is tweaking them or not, influence how users are getting their news. The result is that publishers are ever more dependent on these social media traffic referrals, especially as users continue to increase their use of mobile devices and access Facebook from their phones or tablets. Facebook in effect is becoming a life raft to publishers, and is encouraging them to use more of its tools to promote content on the social network. The question is, even if they’re not sinking, will the life raft help publishers actually swim? 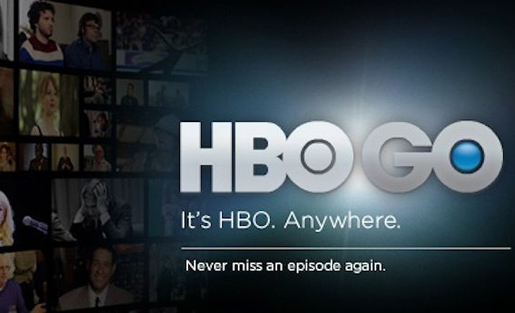 HBO announced in October that it’s going to launch its own standalone streaming service in a move to target the 10 million people in the U.S. who have an Internet connection but don’t pay for a bundled cable television or satellite package. It’s what Jeff Cole, the director of the Center for the Digital Future at the University of Southern California Annenberg, called a “seismic event in the future of television,” according to the Wall Street Journal. It offers consumers more choices than ever, but it also shakes up the television industry because HBO content is no longer exclusive to its cable partners. Yet the time was due — a 2013 Nielsen study found that younger viewers are much more likely to live in “zero TV households,” and therefore prefer online video subscription services such as Netflix, Hulu and Amazon Prime. Twenty-five percent of people aged 25-34 and 19 percent of people under the age of 25 reported cutting the cord on their television sets. The months-long dispute between e-commerce giant Amazon and book publisher Hachette over e-book pricing and profits finally came to a close last month, just in time for the important Christmas holiday shopping season. But as The Economist pointed out, it’s not quite clear who won the battle. The controversy between the two outfits painted Amazon as the bully of the book trade and stirred discussions over the entire publishing ecosystem. Is Amazon — which controls nearly half the book market and is America’s largest book retailer — an actual monopoly, and therefore right to insist it had authority over setting e-book prices? One of the main arguments of Amazon’s supporters is that in the world of digital self-publishing, publishers like Hachette aren’t necessarily as relevant as they once were. Vice Media has made a name for itself by pursuing edgier stories and distributing heavily across digital platforms. The economics behind production are also streamlining how ambitious producers might be able to get their own podcasts running, since it requires fewer equipment and software than say a TV show. Marketers can also benefit from the intimacy of the medium, analysts say, since listeners are probably much more likely to sit through an ad, especially when it’s read by the host of the podcast, than they are a television ad. The success of crowdfunders like Roman Mars of the popular podcast “99% Invisible,” who has run annual Kickstarter campaigns for his show to fund it, also adds confidence that people will pay for great storytelling. Take the podcast network Radiotopia — it ran a Kickstarter campaign pledging to “remake public radio” through podcasts. It raised $620,412 by the time it closed, offering several lessons for others thinking of crowdfunding a project. 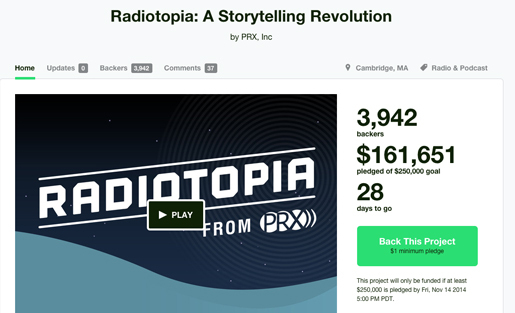 Radiotopia had a widely successful Kickstarter campaign (MediaShift file photo). But at the same time, the question of what it means to bear witness in the digital age — already a common topic among some individual freelancers and niche news organizations like Tehran Bureau — is also gaining traction within mainstream news outlets as social media makes events across the world a visceral reality. First Look Media’s global social media news hub reported.ly also recently launched, with its mastermind Andy Carvin — known for his Twitter coverage of the Arab Spring — announcing on Medium, “we want to produce native journalism for social media communities, in conjunction with members of those communities.” In other words, social media outlets are no longer just ways for publishers to refer audiences back to their websites. 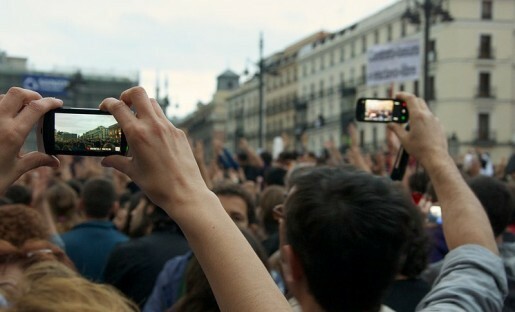 The act of bearing witness online, whether through watching a direct live stream from a journalist or citizen or debating and analyzing news with others, is just as important. FiveThirtyEight turned to statistics to help find America’s best burrito. Photo courtesy of FiveThirtyEight.com. With Nate Silver’s departure, the New York Times had a vacancy for a data journalist — and it decided to fill it by launching a new section on the Times’ website in April called The Upshot, which focuses on politics, policy and economic analysis. Its announcement stated it was necessary to help audiences understand the news, which is the same purpose behind Vox, which also started publishing stories in April. Although some observers are still not sure what to make of the explainer website, its fusion of journalism and technology is raising eyebrows across media circles. The “Vox Cards” are designed to offer readers consistent referrals right when they’re reading a story.